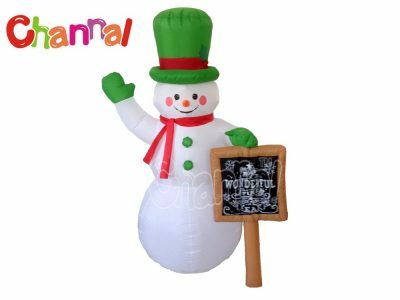 Inflatable snowman is a blow up snowman decoration for Christmas holiday. 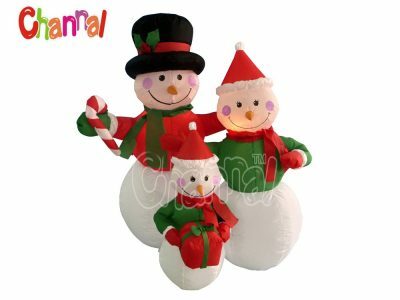 Christmas snowman blowups can be used for decorating houses, yards, lawns, outdoors and indoors, they are also great ornaments for parties, streets, promotions, churches, etc. They often have inbuilt lights, so they could be lighten up when nights come. Small inflatable snowman is great for yard decorations and giant inflatable snowman is excellent for advertising. Besides normal snowman inflatables, there are also frosty the snowman inflatable, abominable snowman inflatable, inflatable Olaf from frozen and others. 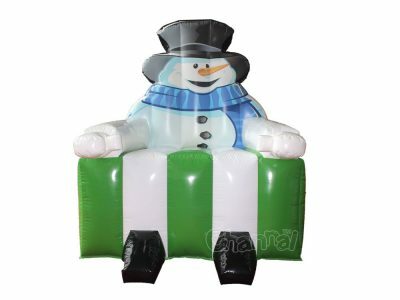 Channal Inflatables is a professional inflatable snowman manufacturer and wholesaler in China. 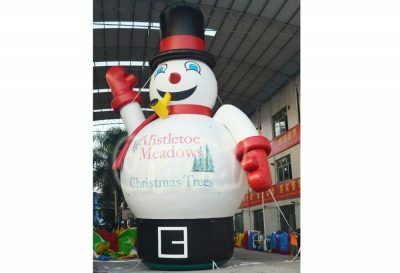 We have the best quality inflatable snowman for sale and wholesale. Contact us for your 2018 Christmas yard inflatables.